The turkey has been devoured, and family has taken their leave... just in time for Savannah holiday events for the holdays to begin! 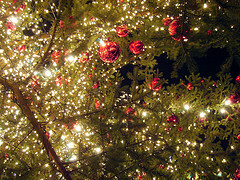 So come one, come all to Christmas on the River, a daytime activity event, and lighted Christmas parade in the evening, on Saturday, December 3, 2011! Activities will also continue on Sunday, December 4. The Romantic Inns of Savannah invite you to enjoy this First Saturday on the River event, hosted by Savannah Riverfront from 9:00 am to 8:00 pm on Saturday, and from 9:00 am to 5:00 pm on Sunday. The December event is the Christmas version of our monthly activities on, and by, the river. Work on your Christmas shopping checklist by visitng local artisans presenting wares ranging from craft to fine art at the River Street plaza. Not to mention the 100+ shops, open for your shopping needs, holiday entertainment, children's activities across from the Candy Kitchen, and the feel of the holiday spirit. The 5:30 pm Lighted Parade will make its way down River, Bay, Abercorn, and Broughton Streets on Saturday evening, and will feature lights, magic, and the arrival of Santa to Savannah! The event itself is free to the public, but bring your holiday shopping budget with you! Choose your favorite Savannah Inn to return to after the excitement. A warm welcome and bed await you there! ** Update: Dates for the #Savannah Gingerbread Village (free viewing at the Westin) are through December 30, 2013. Are you crazy for gingerbread? Does the sight of gingerbread houses make you welcome Christmas into your life? Is your holiday incomplete without creating beautiful gingerbread-and-icing architecture? If you can answer "yes" to any of these questions, you're sure to enjoy the Gingerbread Village holiday event, held annually at the Westin Savannah Resort! This free event, sponsored by the Savannah Harbor Foundation, runs from Thanksgiving through December 26, 2011 at The Westin Savannah Harbor Golf Resort & Spa Main Lobby. This friendly competition challenges both amateur and professional chefs to present their gingerbread creations for all to see. One lucky designer will walk away with the title of "Best Gingerbread Creation." The Westin is on Hutchinson Island, but if you are staying at a romantic Savannah Inn, you can make use of the FREE water ferries of the Savannah Belles Ferry system, in front of City Hall on River Street. Ferries run from Savannah to the island and back each day from 7:00 am to midnight, at 15-20 minute intervals. PLEASE NOTE that no ferries run on Thanksgiving Day or Christmas Day. Judging takes place before the event is open to the public this year. Prizes will be awarded to the top two Adult, Junior, and Children's Division entrants, so come by to see the gorgeous entries, view the winners, and soak up the holiday spirit! Have you ever wanted to see the inside of those gorgeous houses around Savannah? Then take advantage of your stay at a Savannah Bed and Breakfast, during the weekend of December 10-11, 2011 to enjoy the Holiday Tour of Homes. 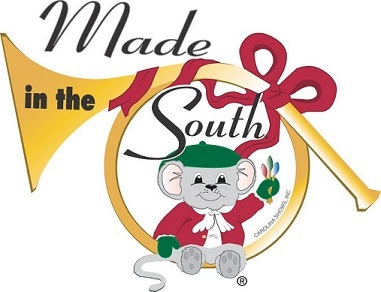 This yearly event features a tour through some of the city's stunning homes and inns, and the 2011 historic tour of Savannah comes complete with a Victorian Tea and a stage show! Savannah's Holiday Tour of Historic Homes and Victorian Tea is produced by the Downtown Neighborhood Association. During this weekend the residents of Savannah's Historic District invite the public into their beautiful homes, all decked out in holiday finery! Home owners will often have tales to tell about their residence's characteristics and past. There are two separate tours on Saturday, showcasing a total of twelve lovely homes. In between the two Saturday tours, there will be a Victorian tea to enjoy at the Downtown Garden Club of Savannah, complete with Victorian sandwiches and other treats! Members of the Garden Club will be dressed in period clothing. On Sunday, there will be a tour through a selection of area Inns, including our own Catherine Ward House Inn, and The Green Palm Inn! The Inn Tour will be followed by "A Christmas Tradition" stage show at the historic Savannah Theatre, featuring music, comedy, and audience participation. Tickets for each part of the Tour and Activities are available at the Tour Headquarters, but tours do sell out! Advanced ticket purchase is recommended. All proceeds go to the Savannah downtown Historic Landmark District. Saturday, Dec. 10 at 11:00 am: Tour #1 - Self-guided tour of six magnificent homes. Tickets are $30. Saturday, Dec. 10 at 3:00 pm: Victorian Tea (with treats) at a mansion not on the tour. Tickets are $20. Saturday, Dec. 10 at 5:00 pm: Tour #2 - Tour of homes eight through twelve with trolley service until 8:00 pm. Tickets are $30. Sunday, Dec. 11 at 11:30 am: Self-guided tour of six majestic Savannah Inns. Tickets are $20. Sunday, Dec. 11 at 3:00 pm: "A Christmas Tradition" stage show. Tickets are $30. Savannah bed and breakfasts invite you to the city's annual post-Thanksgiving activities! One of our favorite events is the annual Boat Parade of Lights. This is Savannah's "Christmas Parade" on the Savannah River waterfront during our "Holly Days" Holiday Series events sponsored by the Savannah Harbor Foundation and the Westin Savannah Harbor. Beginning at 5:00 p.m. on November 26 at the Westin Riverwalk, General James Edward Oglethorpe will address attendees and officiate the tree lighting, before the Boat Parade of Lights brings the Savannah River to life with boats, lights, and the holiday spirit. Boat owners from near and far decorate their boats with decorations and lights for a Christmas Parade, Savannah-style, followed by a grand fireworks display! The parade can be enjoyed from both sides of the river, but is best viewed from River Street, and from The Westin Savannah Harbor. So come stay at one of Savannah's romantic bed and breakfast inns and join us in officially welcoming the Christmas Season!